As it was last season, the best way to watch NFL games for free is with an over-the-air TV antenna. 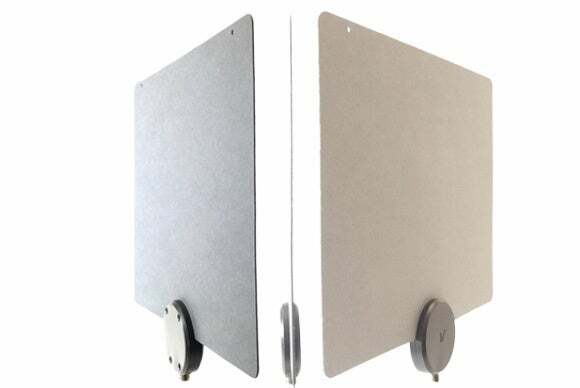 Cheap indoor antennas sell for as little as $15, while more expensive flat designs from Mohu and Winegard can mount on a wall or to a window. All the major networks typically broadcast in high definition, so with a strong enough signal, the quality should be comparable to the set-top box you’d rent from a service provider (or perhaps even better, since the broadcast signal isn’t as compressed). An indoor antenna like the Mohu ReLeaf could be all you need to watch in-market NFL games for free. All you need besides the antenna is a coaxial input on your television; and with additional hardware, you can even add DVR capabilities to your antenna, orstream the video to other devices around the house over Wi-Fi. If your TV was manufactured prior to the 2009 digital TV transition, you might also need an analog-to-digital conversion box. With “skinny” streaming bundles such as Sling TV, you can now get live channels that previously required a cable subscription, while still avoiding the sneaky pricing tactics and oversized bundles that tend to make cable so expensive. That said, deciphering what NFL coverage you’ll get with Sling TV is a bit tricky. Local NBC and Fox feeds are available only in select markets, so if you only get on-demand access to those channels, you won’t get the games. 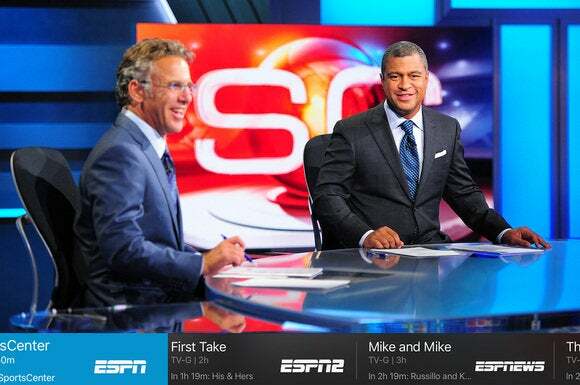 Meanwhile, ESPN and NFL Network are split into separate bundles. The former requires Sling Orange for $20 per month, while the latter requires Sling Blue for $25 per month, though you can get them together for $40 per month total. 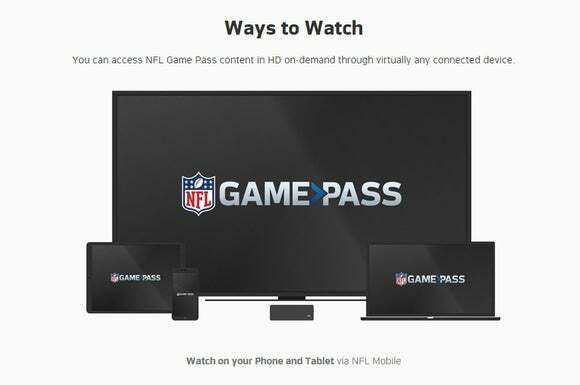 Sling Blue users can also add NFL RedZone for an extra $5 per month through the Sports Extra add-on. This story has a complete guide to all the Sling TV channels. 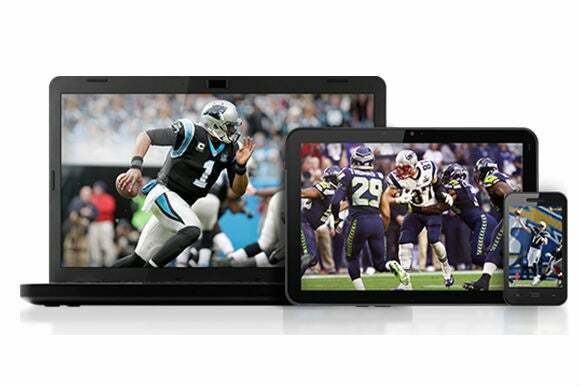 Sling isn’t your only streaming bundle option for live NFL games. You can also subscribe to Sony’s PlayStation Vue service and get all the same coverage options. Here again, the way it works can be confusing. NBC and Fox games require a non-”Slim” package, which includes live local channels. This is available in select markets and costs $10 more than Vue’s “Slim” bundles. CBS, meanwhile, is available in some areas that don’t carry non-Slim packages. The best way to figure out what you can get is to visit Sony’s PlayStation Vue plan page and plug in your zip code. 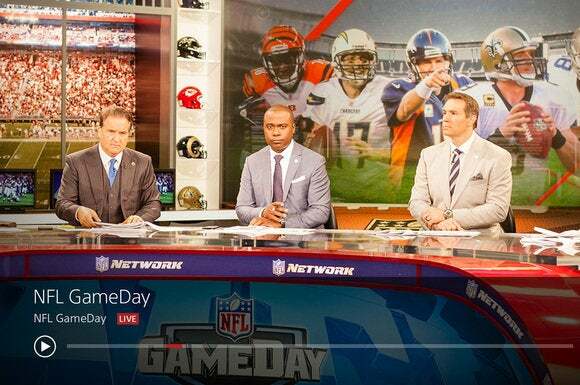 As for ESPN, the former is included in all PlayStation Vue plans (starting at $30 per month in most markets), while NFL Network is part of the Core ($35 per month) and Elite ($45 per month) packages. If you get NFL Network, an extra $40 delivers NFL RedZone for the entire season. No, seriously. After paying a rumored $10 million for the privilege, Twitter will live-stream 10 Thursday Night Football games—the same ones that will air on CBS and NBC—for free. All you need is a device that can access Twitter.